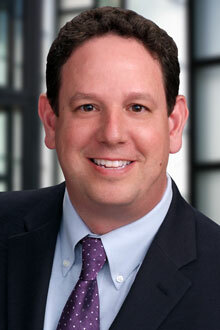 Andrew Bluth is a partner in the Sacramento office of Lewis Brisbois. He is a member of the Complex Business & Commercial Litigation Practice, with broad experience in a variety of fields, including representation of financial institutions, telecommunications companies, railroads, utilities, contractors, developers, and startup technology companies in complex commercial disputes and regulatory matters. Andrew's experience includes nationwide consumer class action defense; sophisticated contract disputes; complex writ practice; unfair business practices matters, as well as antitrust litigation and counseling. Andrew's writ experience includes complex environmental litigation under the California Environmental Quality Act (CEQA). Andrew has conducted jury trials and arbitrations throughout California, appeared before the California Public Utilities Commission, and litigated in the Delaware Court of Chancery and Delaware Supreme Court. Andrew has represented numerous clients in defense of class action lawsuits under the federal Telephone Consumer Protection Act (TCPA) as well as California's "two party consent" telephone recording statutes. Andrew provides communications counseling advice in these areas and his experience includes representing clients before the Federal Communications Commission. Prior to becoming a lawyer, Andrew was a reporter for the New York Times and Orange County Register newspapers where he covered national breaking news events as well as the surf and restaurant industries.